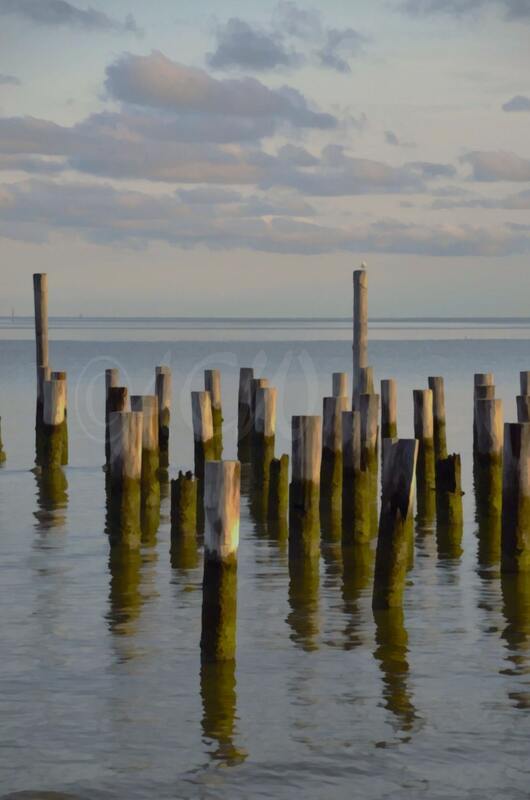 An original image of abandoned pilings in the bay off the coast of Cape Charles, Virginia based on a photograph. This image is landscape (horizontally) oriented. Produced on a gallery wrapped 16x20 or 12 x16 canvas.